It's time to get the party started! Pump up your audio experience with 2900Watts of booming beats. Take your party up to the next level. 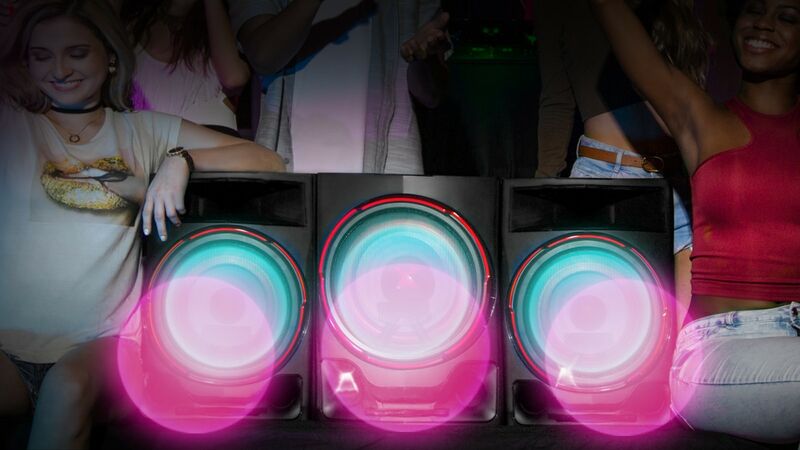 Go up to full throttle with the party Thruster, by pushing it forward to build up the sound. Set off the party with wild lighting and booming bass. Customised lighting to bring the club vibe to your own party. Speakers built to reflect the surrounding lights. Be dazzled by the mica-sprayed speakers while the speaker lighting is on and the colours change. Double up for even more fun. Enjoy twice the power from twice the speakers with 2 systems wirelessly connected together. Remix like the pro DJs. Repeat any sound in a loop for as long as you want. Add Scratching, Flanger, Phaser, Wah, Delay and prerecorded special effects to your favourite tracks at the intensity you desire. 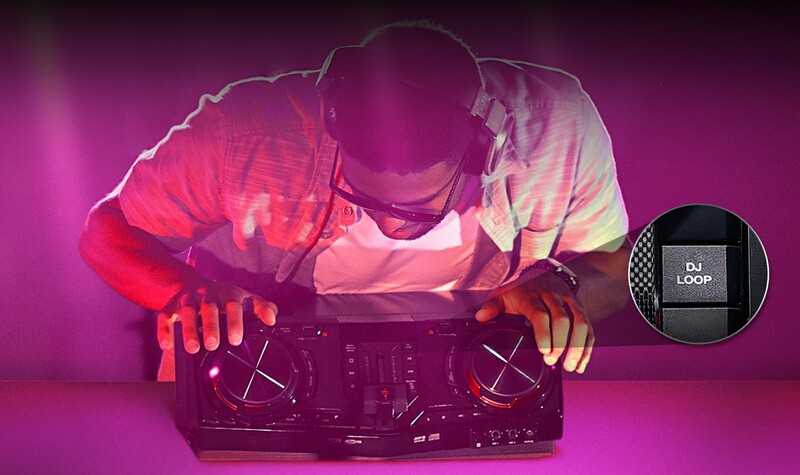 Let the system take over with Auto DJ while you get your groove on. Relive the party all over again with easy Audio record. 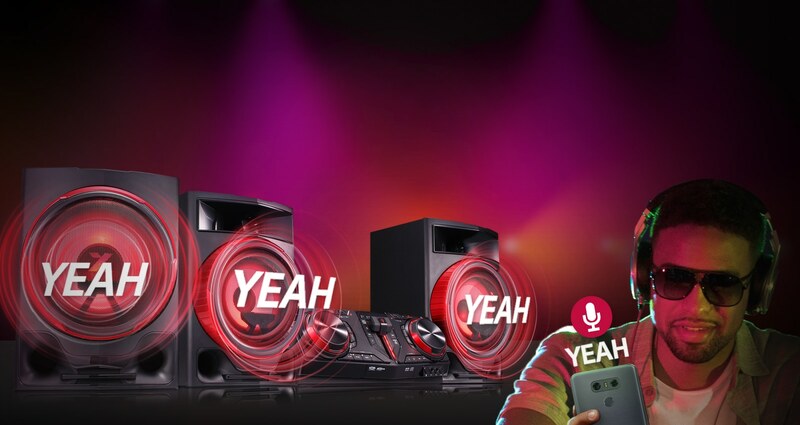 Share your party by sending the recording via Bluetooth to any smartphone. Take control of your voice with a voice makeover, even when you sing. Almost any track can become a Karaoke track by simply removing the vocals at the push of a button. Change the song's key to match your own. Take control of the party remotely from your mobile device. Select the tracks and add effects from the dance floor.